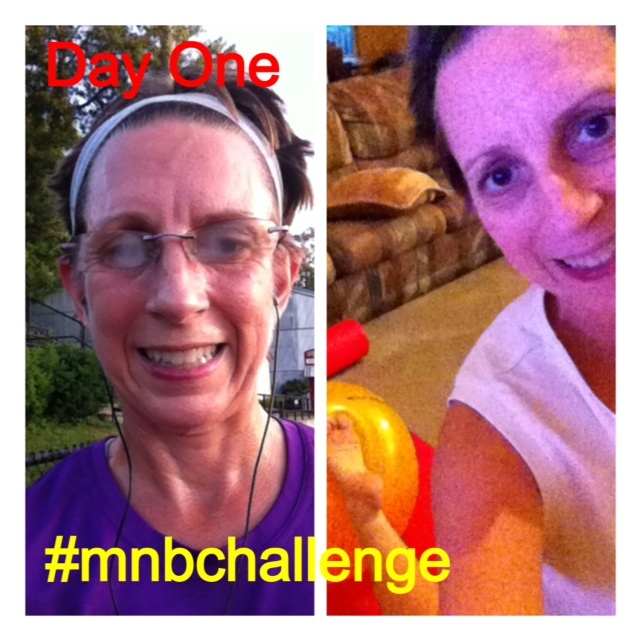 I just completed week two of the Move Nourish Believe Challenge. I do challenges frequently, and often take a “day by day” approach (i.e., figuring out the day’s assignment the night before or morning of); in the case of this challenge I just figured out that the reason the entire week’s assignments had to do with food was because it was “Nourish” week. Duh. Going meatless was pretty easy! 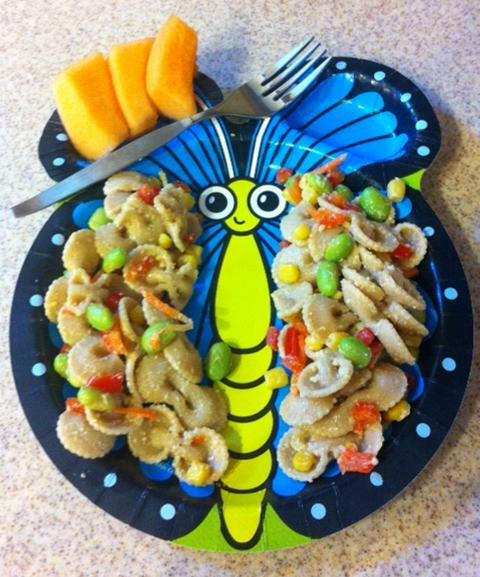 I had just made the “Rainbows and Butterflies Pasta Salad” for my #FeedSouthAfrica post, so my lunch was easy. 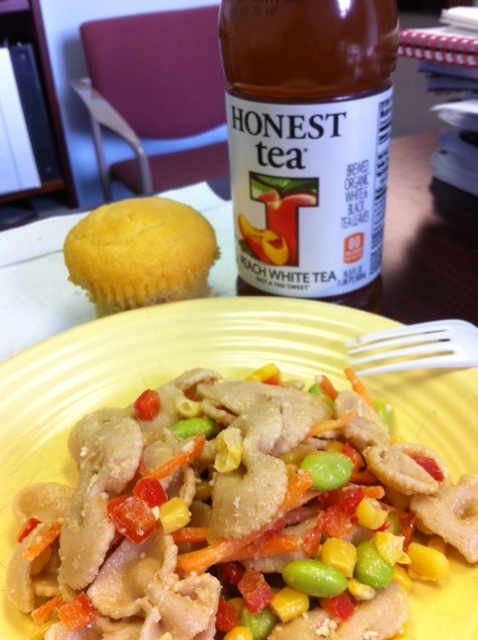 I enjoyed a meatless breakfast and dinner as well. Now I’m getting a little repetitive, I guess, but it was a day for Rainbows and Butterflies again! Good thing they were tasty! Wednesday’s challenge was “Write it down! 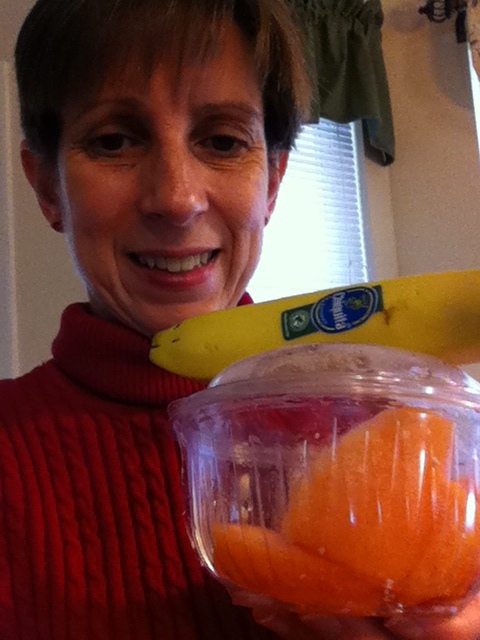 Journal your food today and share your WIAW with us”! Probably the hardest (and most illuminating day of them all). I use LoseIt, but for years now I have only used it first thing in the morning to register that day’s weight. On Wednesday, I used it to record everything that went in my mouth (as well as my activity). It was an important reminder that tracking what we eat is a powerful thing (and the ability to scan barcodes to quickly pull up/track a food is awesome!). Thursday’s challenge was “Smoothie Day! Happy Thirsty Thursday! 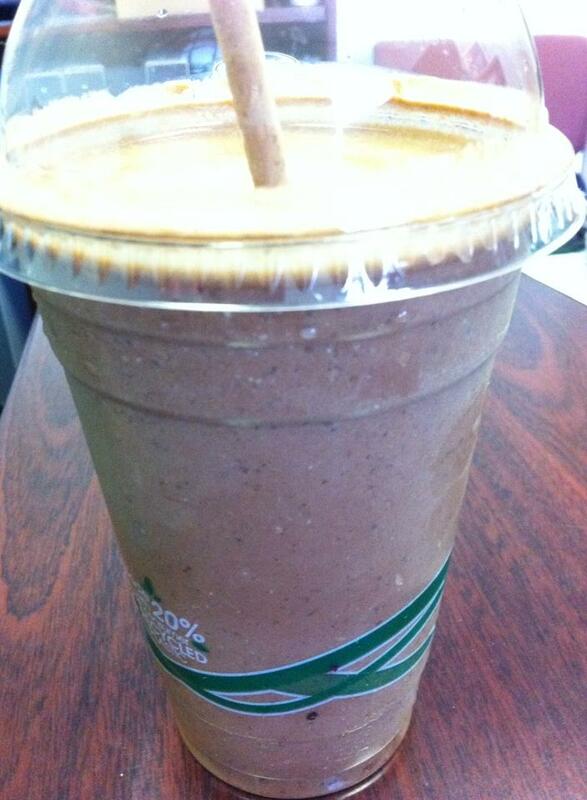 Make a healthy smoothie today”! I didn’t make a smoothie, but I used the day as an opportunity to make my first visit to Axios Salt Spa + Juice Bar. Melissa whipped up a chia-choco-tilla (vanilla almond milk, raw cacao powder, chia seeds, honey, and an added scoop of SFH vanilla recovery whey protein). It was honestly the densest food item I have ever consumed through a straw … it is intended to be a healthy meal replacement and it was definitely filling. Although the smoothie looked like a traditional chocolate milkshake, I quickly learned that it is a bit of an acquired taste since the natural sweeteners are not as intense as the sugary milkshakes I am accustomed to. It’s worth the transition! Friday’s challenge was “Go raw Friday! Choose a recipe and go raw”! I am usually completely up for a recipe challenge but Valentine’s Day and a busy day at work as well as company coming into town conspired against me. Therefore I just grabbed some fruit and gave myself a raincheck to do a recipe later. (I did in the course of my research (before I gave up on actually preparing a recipe) discover Jill at The Kitchen Goddess – check out her site!). Now that I am “on to” this “theme” set-up, I am looking forward to “Believe” week! 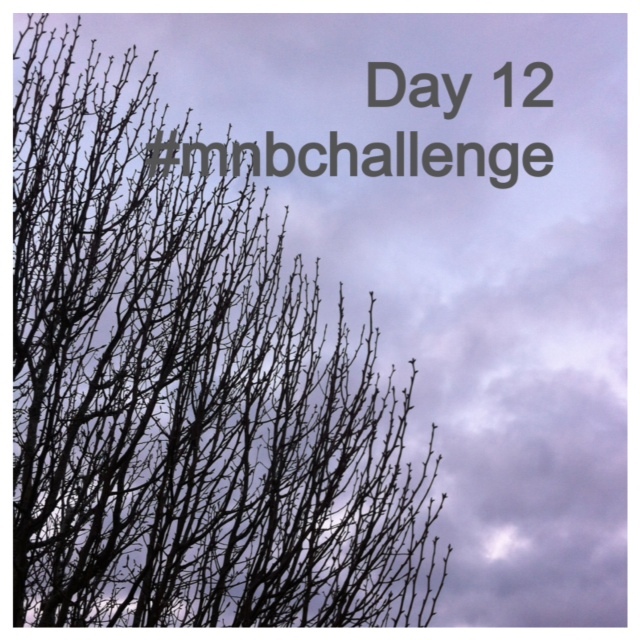 It’s the last week in the challenge; feel free to join us! For more details, visit this link. 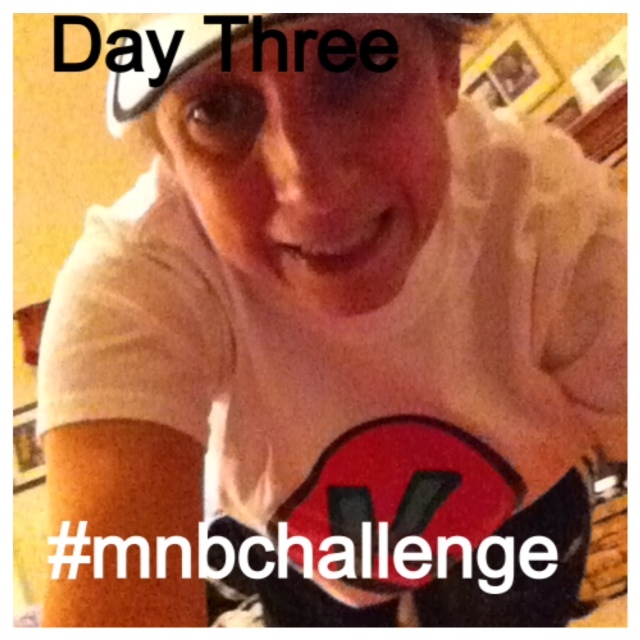 Thank you to Lorna Jane for sponsoring this challenge. Check out their lovely fitness apparel via this link. 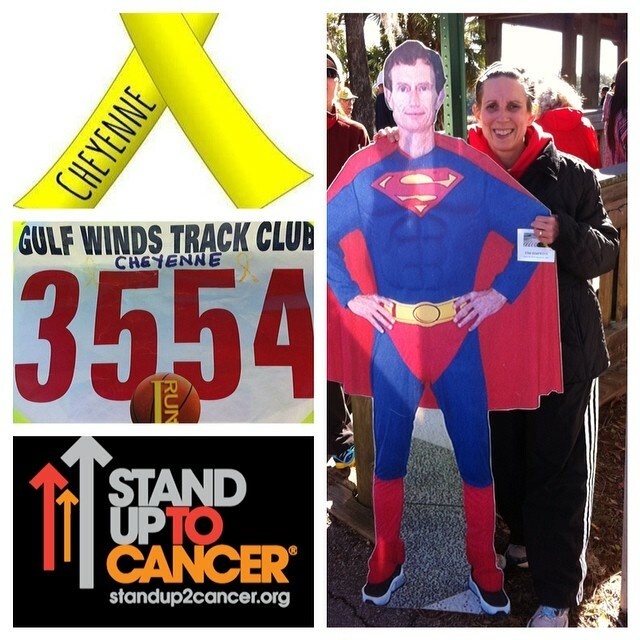 As the finale of the week, I had the privilege today of running for Gareth (who I always run for) and for Cheyenne, at the “Flash” 12K race, which is run in memory of Tim Simpkins, a beloved Tallahassee runner who passed away from cancer (Tim used to run through the streets of Tallahassee in super hero garb). Cheyenne, an infant, died on January 31, 2014, from a very rare form of cancer. 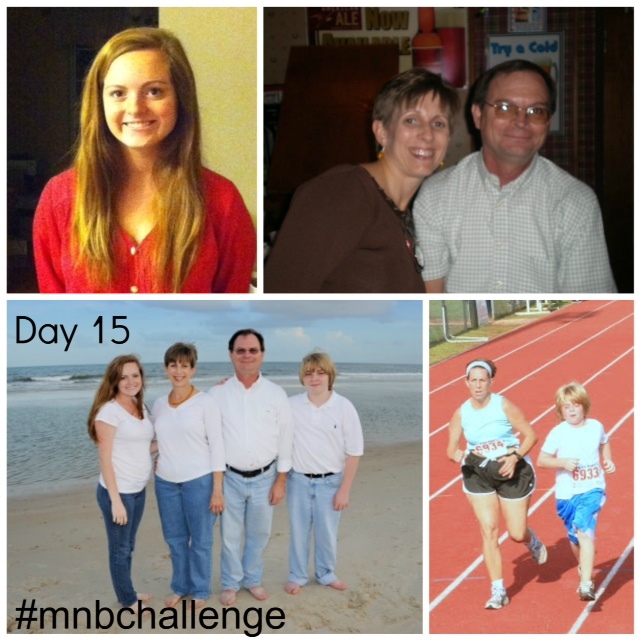 Her page is here, and her family can use your prayers. 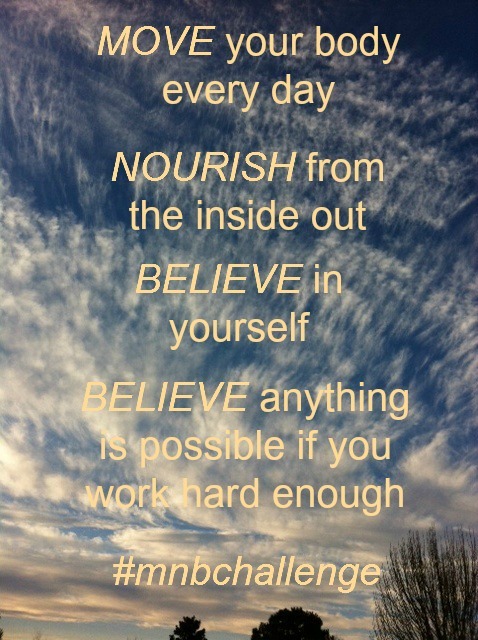 The first week of the Move Nourish Believe Challenge is over. 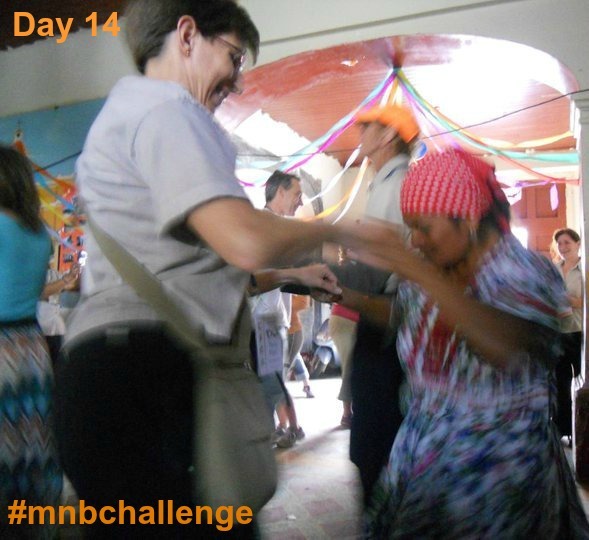 I have really enjoyed the structure of the various challenges, and the new people I have been able to interact with. Monday’s challenge was “sweat it out — show us your favorite way to sweat”! Monday was a “stretching” day for me but I shared an older “sweaty” picture of a running day; running is always my favorite way to sweat. 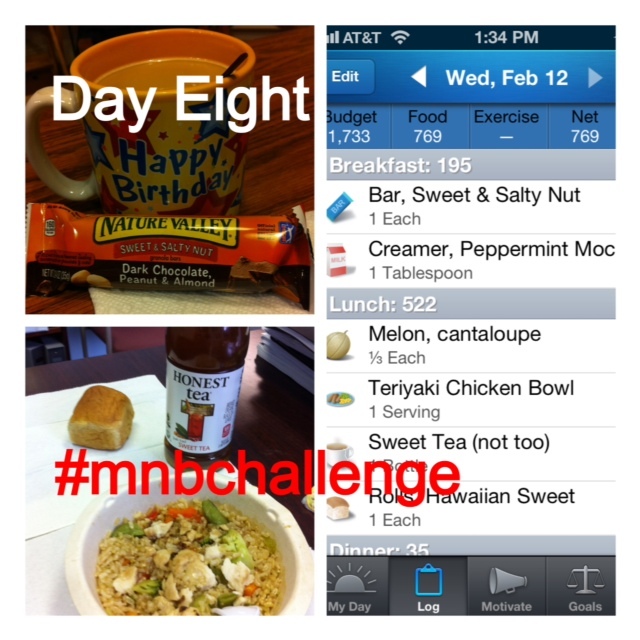 Tuesday’s challenge was “Change it up! – Sweat a new way”! 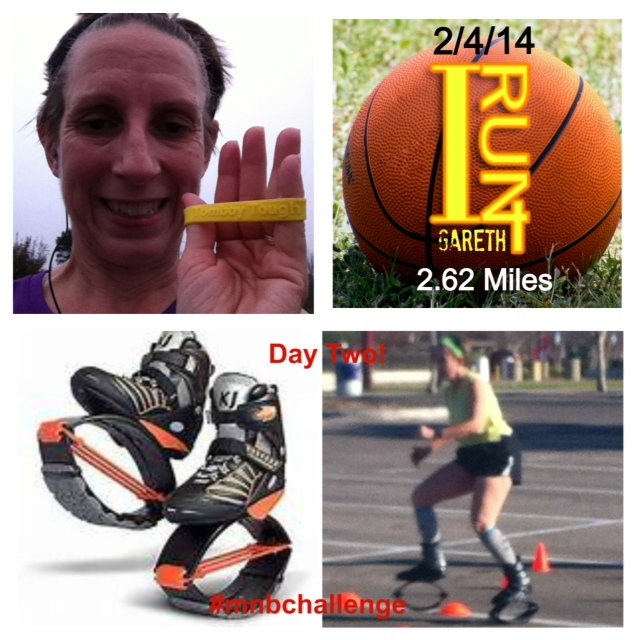 Tuesday was a “regular run” day for me but I shared a picture from my “Kangoo” workout last year. 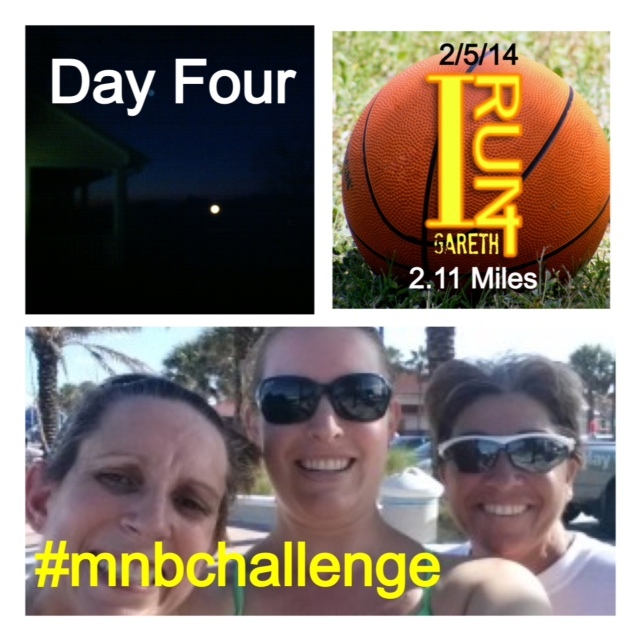 It was definitely a new way to work out and a fun challenge! Wednesday’s challenge was “Let’s get planking — plank at least five minutes today”! I did this in five one-minute segments: an elbow plank, a regular plank, a left side plank, a right side plank, and an elbow plank. Thursday’s challenge was “Buddy Up – work out with a friend today”! Since I had no buddies for my 6 am run, I shared a picture from last summer, when I got together with my friends Diane and Amelia for a Saturday morning workout (I ran with Diane then kept running while she did an open water swim with Amelia) on Clearwater Beach. 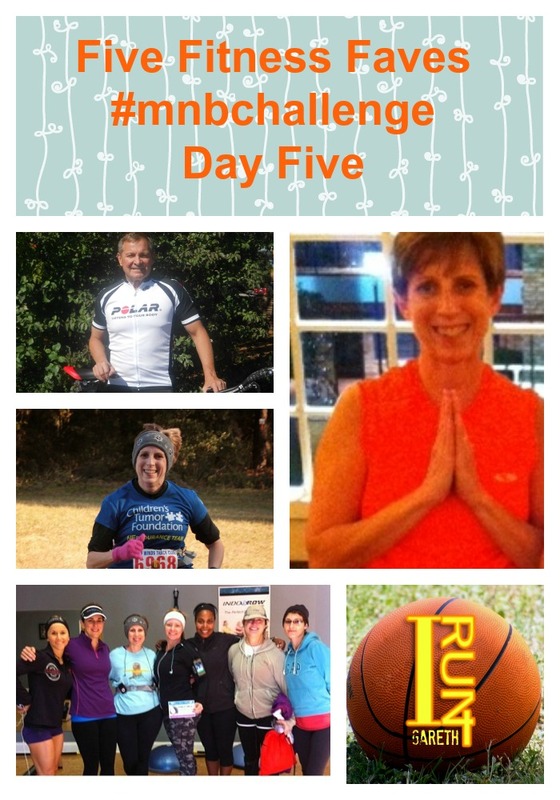 Friday’s challenge was “Show us your five fitness faves”! There you have it! 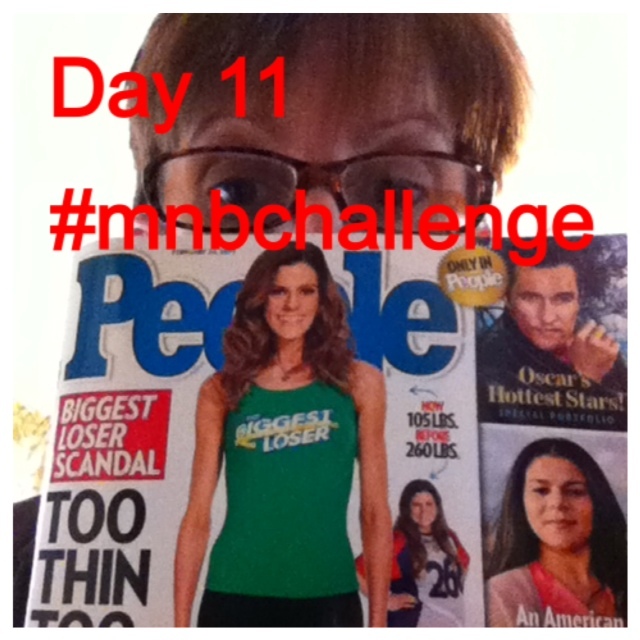 There are two more weeks left in the challenge, so please feel free to join us! For more details, visit this link. 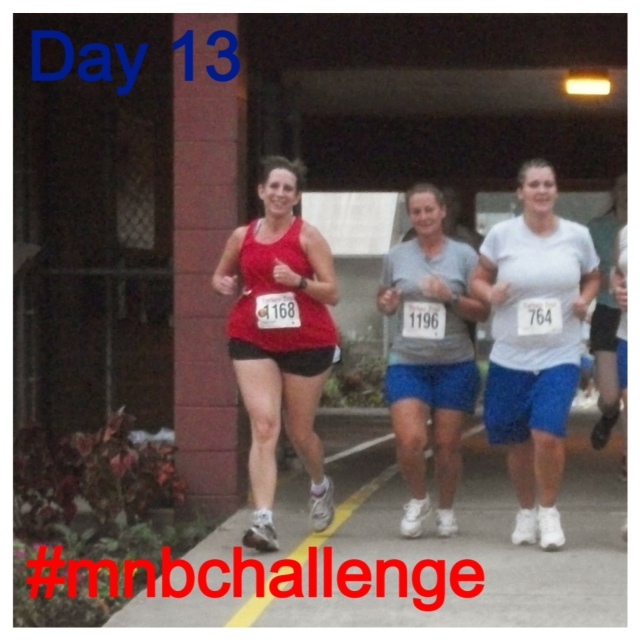 Thank you to Lorna Jane for sponsoring this challenge. Check out their cool fitness apparel via this link. And although today wasn’t an official challenge day, I’ll close with the highlight of the day. 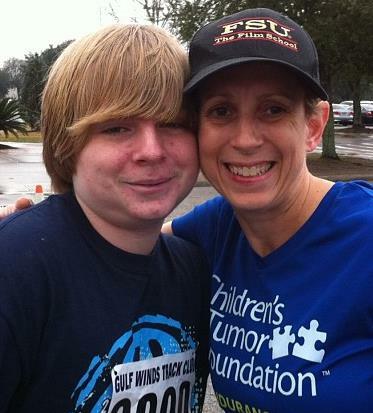 My son (who has been sucked into a few years of gaming after many years of being an active youngster) joined me for the “Run for the Cookies” (he ran the mile, I ran the 5K). It was a happy happy moment.